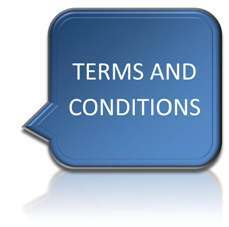 When you pay for our Information Technology boilerplates, you are agreeing to the following conditions of the sale. Permission to use infotex template and/or boilerplate documents is conditional upon your company receiving these templates directly from an infotex employee, an infotex website or e-commerce site, or an infotex workshop / training presentation. Some templates are identified as “Re-brandable Template.” It is the intention of infotex that recipients of these templates use them with their own branding without having to credit infotex. infotex updates our templates from time to time and offers these updates to clients who have purchased templates at no additional cost for three years. Clients are expected to check with infotex to determine if updates are available. Though infotex will announce updates through our mailing lists, if clients are not a member of our mailing list they may not receive the announcements. By proceeding to checkout, you agree that you will be responsible for determining the availability of updates. The purchase of any of our boilerplates comes with a 30-day guarantee. If, for any reason, you are not 100% satisfied with a boilerplate, we will refund your money. In the event that you are not completely satisfied with your purchase of an infotex boilerplate and/or template, simply contact us and we will refund the purchase price of the document you are not satisfied with. Refunds can only be made if we are notified within 30 days of your purchase. Refunds will be made using the same method you used for your purchase unless otherwise agreed. Refunds will be dispersed after a reasonable amount of time for investigation. infotex limits the amount of refund payments to the actual purchase price you paid minus any discounts you may have utilized in the purchase. infotex does not collect and/or pay sales tax for any on-line transactions. You are responsible for paying sales tax according to the laws of your jurisdiction. Boilerplates and/or templates offered by infotex are considered “starting points” and customizing such documents to your organization should be overseen by qualified professionals who both understand the compliance duties of your organization, the regulations impacting your organization, and the unique legal environment that your organization finds itself in. infotex makes its templates and/or boilerplates available “as-is” and can not be held liable for documents that are out of date or do not consider all issues that may impact an organization. infotex shall not be liable for any special, indirect, incidental, or consequential damages of any kind or nature whatsoever, including and without limitation: lost goodwill, lost resale profits, loss of data or software, work stoppage or impairment of other goods, whether arising out of breach of any express or implied warranty, breach of contract, tort (including negligence), strict product liability or otherwise, even if advised of the possibility of such damage could have been reasonably foreseen, except in case of personal injury and where to the extent applicable law requires such liability. infotex reserves the right to refuse business to any party. The rights and obligations of the parties under this agreement shall be governed by the laws of the State of Indiana. Any litigation arising from the sale of boilerplates and/or templates will be resolved in Tippecanoe County, Indiana. Our liability for damages with respect to the services provided shall in no event exceed the charges previously paid by your organization to us for these services. We offer no warranties, expressed or implied, regarding the functionality or capabilities of the products or the services recommended in our templates and/or boilerplates.